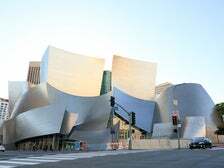 Architect Frank Gehry’s masterpiece, the Walt Disney Concert Hall (WDCH) is host to four PokéStops. 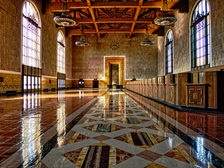 Once you find them and take in the splendor of the building, there are many options where you can rest your weary feet and get a hearty snack before moving on to the next adventure. 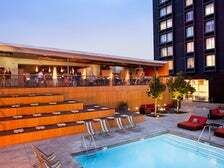 Where to Stay: The nearby Omni Hotel on Bunker Hill will allow you to mingle with the business elite while taking advantage of the heated lap pool. Relax in the light-filled lobby of the newly renovated L.A. Hotel, offering craft beer and a restaurant that’s hosted private dinners for the James Beard Foundation. Where to Eat: Located in the courtyard of The Broad museum next door to WDCH, Otium offers New American cuisine from a French Laundry alum in a stunning atrium space. 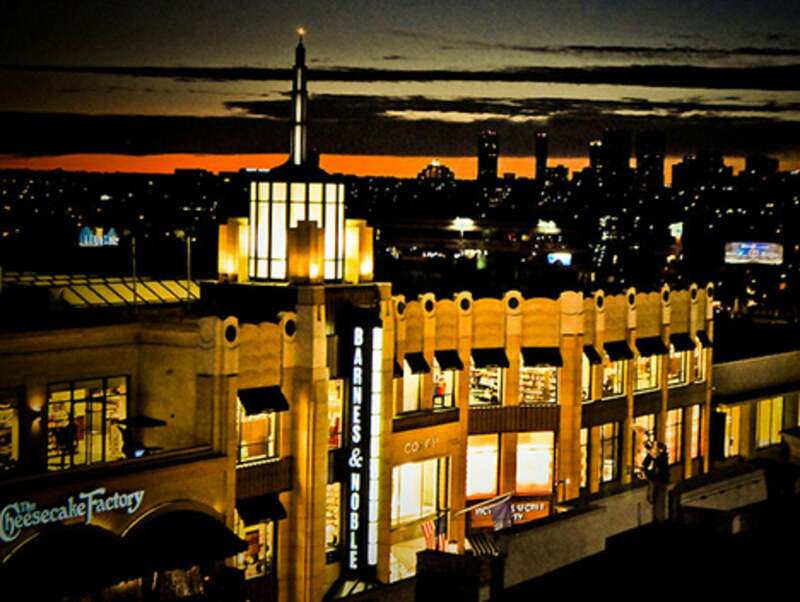 Nearby is L.A.'s iconic Grand Central Market, a bustling mix of old school food stalls and an untraditional culinary testing ground for the latest and greatest food and coffee purveyors. The Bloc, a new, open air retail hub, is home to three PokéStops. 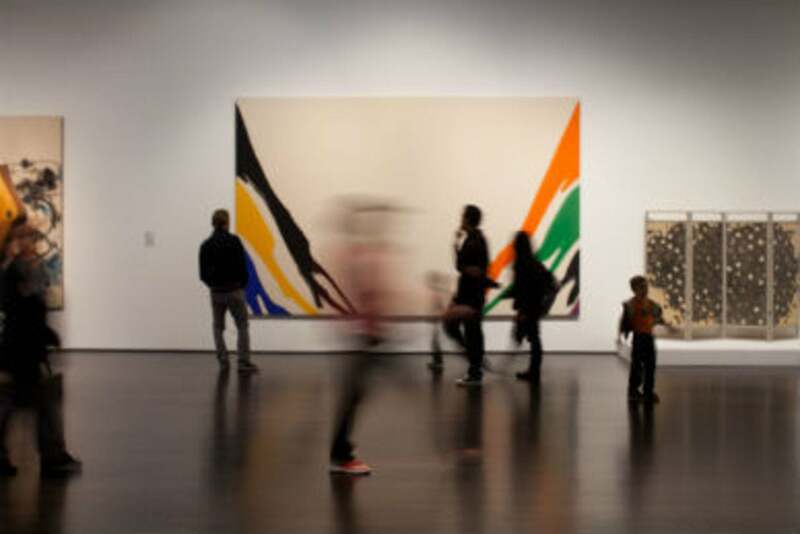 Conveniently located across the 7th Street / Metro Center Station at the intersection of 7th and Flower Streets, the Bloc is also near some great Los Angeles checkpoints. Where to Stay: Located within the Bloc, the Sheraton Grand Los Angeles offers brand new casual décor and technology upgrades that make every guest room its own standalone hotspot. Just south of The Bloc, the hotel at Los Angeles Athletic Club offers luxurious rooms, elegant dining and access to world-class athletic facilities with an Olympian legacy. Where to Eat: Numerous dining options on 7th Street include B.S. Taqueria and Sugarfish. For an international vibe, stop by Bottega Louie for a rainbow-colored macaroon and some lively people watching. Maybe a Pokémon will stop by for brunch? For a nightcap, sip an Old Fashioned at Seven Grand. 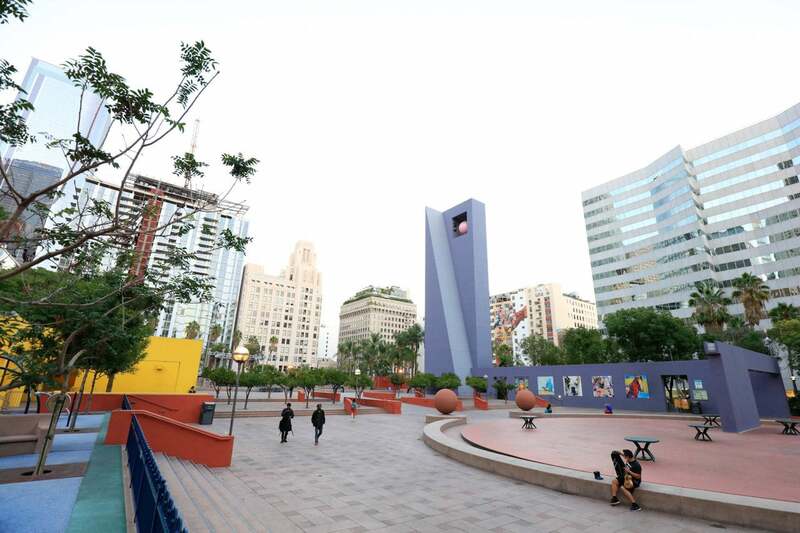 Up next for a multi-million-dollar renovation, Pershing Square was first designated as a public square in 1866. What better place to host four PokéStops and a training gym for Pokémon? Where to Stay: Across the street is the Millennium Biltmore Hotel, easily recognized from its numerous film and TV appearances. 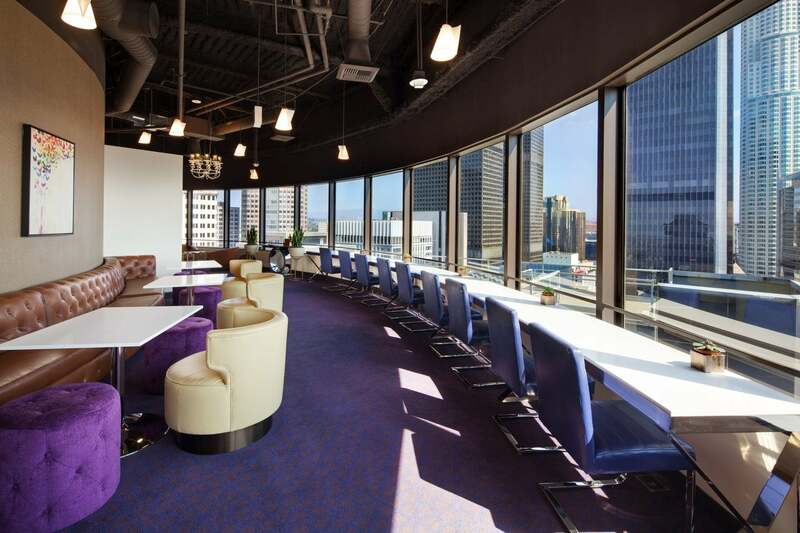 Located walking distance from Pershing Square is Hilton Checkers, a boutique hotel with a killer rooftop view. 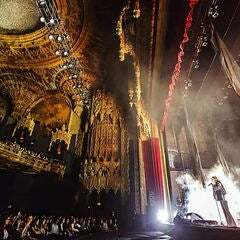 A short jaunt away is The Standard Downtown L.A., a hipster mainstay that hosts independent film screenings, book signings and an iconic pool, as well as offering modern accommodations including a hair salon and a Warby Parker outpost. 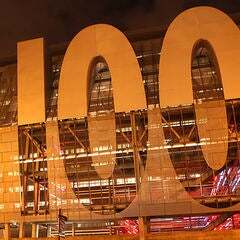 Where to Eat: For tasty food options and a Target for that sunscreen you forgot to pack, check out FIGat7th for Sprinkles cupcakes, award-winning Mexican cuisine at Loteria Grill, and live entertainment on Fridays. Water Grill is one of L.A.'s top seafood restaurants and a favorite power lunch spot. Step back in time at Clifton's Cafeteria, a spectacular eatery that boasts numerous bars and incredible decor, including a giant redwood tree (!). Enjoy French small plates, cocktails and some of the best views of the city at Perch. Multiple PokéStops can be found in Downtown L.A.’s Little Tokyo neighborhood, a hub of authentic Japanese culture and activities. 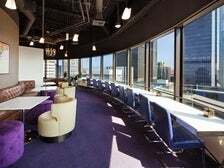 Where to Stay: The Miyako Hotel for old school Japanese hospitality, or experience the rooftop garden at the Double Tree by Hilton Los Angeles Downtown - both are located a short walk from other attractions and the Pokémon stop at Union Station. Where to Eat: The ramen at Daikokuya is worth the wait in line. Also worth the queue is Sushi Gen, which offers one of L.A.'s best sushi lunch deals. Far Bar is one of Little Tokyo's hidden gems, well-known by locals for its happy hour and sports on the flatscreens. For a laid back hang in a street art covered venue, try Angel City Brewery on the edge of the Arts District for the latest craft beer flavors. 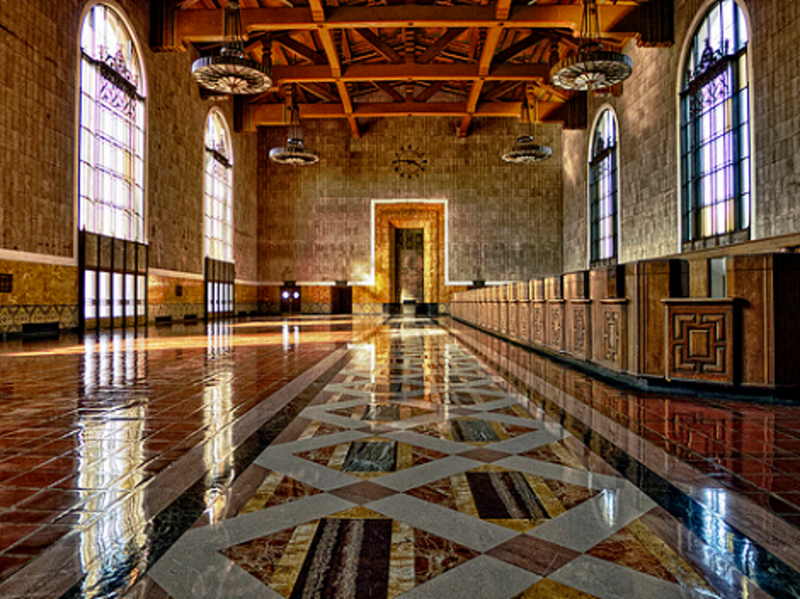 Widely regarded as “the last of the great train stations”, Union Station is the largest railroad passenger terminal in the Western United States. 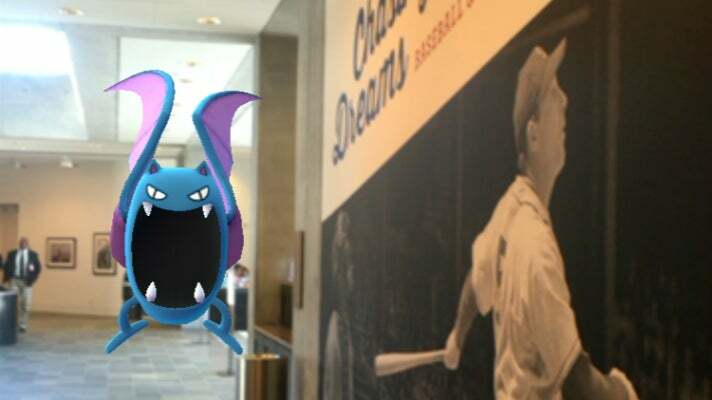 Built in 1939 and still a major rail hub, with shops, eateries and waiting areas, it also hosts events and serves as a backdrop for movies as well as random Pokémon. Where to Stay: Located a half-mile from Union Station, the Best Western Dragon Gate Inn is a "3-diamond property with a 2-diamond price," featuring contemporary rooms with artful Chinese accents, an array of shops, full-service beauty salon, pharmacy, the Hill Street Cafe and jewelry stores. Where to Eat: Don’t miss the 108-year-old Philippe's for a classic French Dip sandwich; Olvera Street for the authentic Mariachi; and for fancy cocktails in an Art Deco atmosphere, there’s Traxx in the opulent station itself. 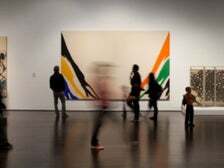 The encyclopedic Los Angeles County Museum of Art (LACMA) is host to internationally renowned exhibits, special events, and multiple PokéStops, including the lamp posts of Chris Burden’s Instagram-ready Urban Light. This spot is also fantastic for Charmander sightings. 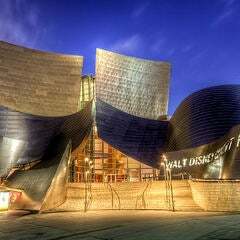 Housed in the landmark May Company adjacent to LACMA, the Academy Museum will be the world's leading movie museum when it opens in 2017. The Pokémon are ready for their close-up! Where to Stay: Rest up for the next day at the nearby Hotel Wilshire, a stylish 74-room boutique hotel with a lively rooftop lounge. Where to Eat: Turn to Ray's and Stark Bar at LACMA for Mediterranean fine dining and exquisite celebratory cocktails. Head south on Fairfax to Tom Bergin's, famous for its Irish Coffee and reportedly the bar that inspired Cheers. 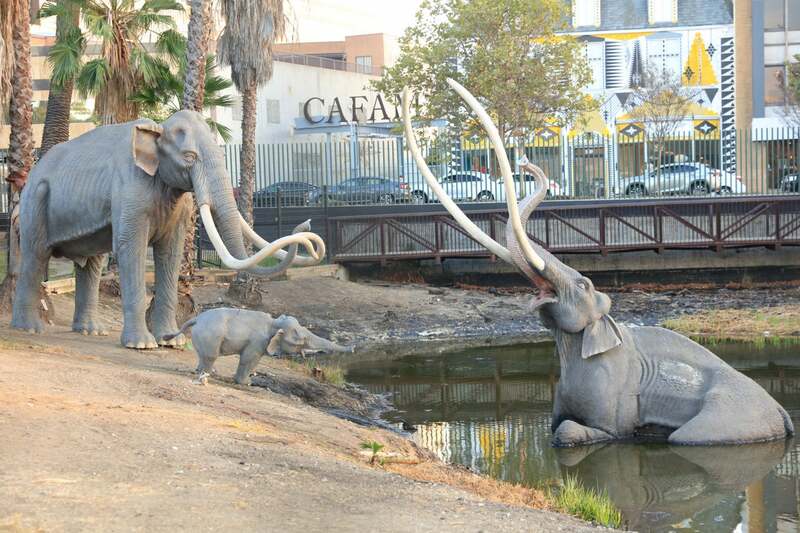 While the La Brea Tar Pits are adjoined to the LACMA grounds, you may mistake it for just another beautiful park, were it not for the dramatic mammoth sculpture depicting its untimely demise in a pool of bubbling tar. Of course, there are multiple PokéStops here, and it’s also home to a Charmander nest, where this species is continuously spawned by the server. 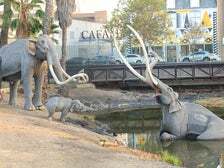 A short Uber ride from the La Brea Tar Pits will take you to Koreatown, one of L.A.'s top destinations for dining and nightlife. 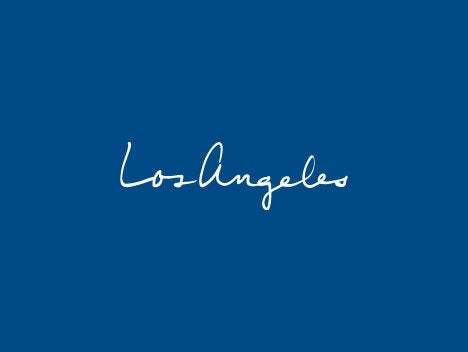 Where to Stay: Located across from the Metro Wilshire/Normandie station, The Line Hotel is a recent addition to the hip hotel scene. Flanked by a 30-story Shepard Fairey Peace mural, The Line offers floor to ceiling views of the Hollywood Sign, if you’re lucky enough to book a room on the north side of the building. Another option is the landmark Hotel Normandie, featuring 91 rooms that were recently restored to their original Roaring 20s flair, with new, vintage-inspired furnishings, fixtures and tile work of the era. 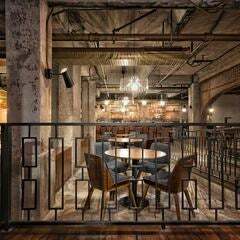 Where to Eat: Besides the numerous Korean BBQ options, you can take your pick of chef Roy Choi’s restaurants at The Line - the vegetable-focused Commissary (poolside) or POT, featuring Korean fusion with a hip hop soundtrack. For a classic burger or killer patty melt, try Cassell's at the Hotel Normandie. Later, step into the lively Break Room 86, one of L.A.'s best hidden bars. Multiple PokéStops can be found at The Grove, an iconic open air retail and entertainment complex located in the Fairfax District. Where to Stay: Hotel accommodations can be found across the street at the Farmer's Daughter, featuring quaint, clean guest quarters with a bed and breakfast vibe that's popular with European travelers. Where to Eat: Next door is the historic Original Farmer’s Market, a permanent homage to fresh food and produce, resulting in endless menu options. Walk north on Fairfax for other dining options, including Plan Check, the legendary Canter's Deli and the acclaimed Animal. 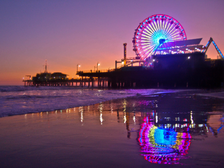 As perhaps the best place in the L.A. region to find Pokémon, the Santa Monica Pier has multiple stops and lures, and is easier than ever to visit thanks to the new Metro Expo Line extension. Where to Stay: You’ll need a place to drop your stuff, and the Ocean View Hotel offers rooms just steps away from the pier itself - and it isn’t a bad place to watch our legendary sunsets, either. Also close by, the Shore Hotel is a sleek, modern and eco-conscious choice. 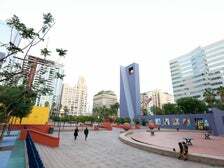 Where to Eat: You can find other Pokémon hunters at the Third Street Promenade, a four block radius of shopping and dining, as well as a nationally recognized farmers market on Wednesdays that's a favorite of L.A.'s top chefs. Border Grill is a modern Mexican cantina from celebrity chefs Susan Feniger and Mary Sue Milliken. Enjoy classic seafood and romantic ocean views at The Lobster. Meetup up for happy hour at The Independence or Copa d’Oro, famed for its market-fresh cocktails. 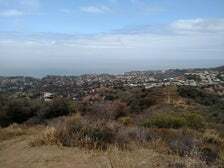 Located in Pacific Palisades, Temescal Gateway Park is one of the most popular parks in the Santa Monica Mountains. 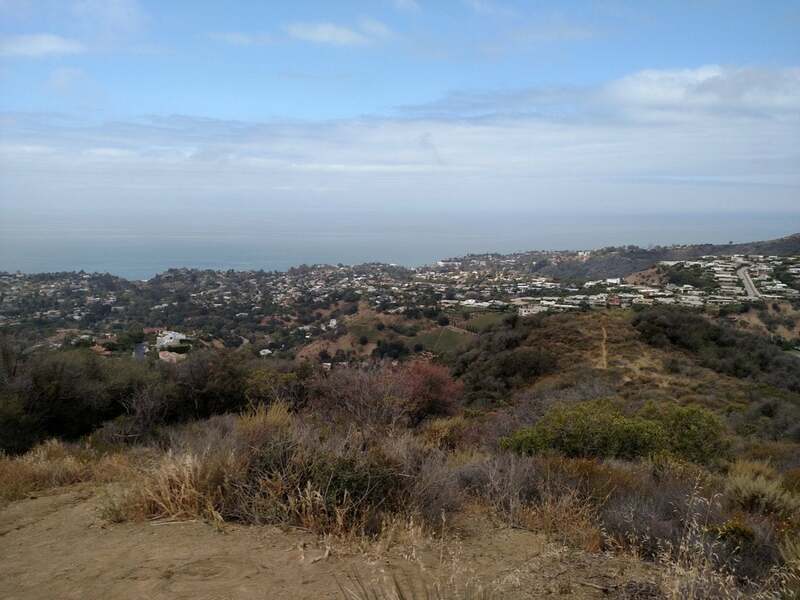 The park encompasses 141 acres of oak and sycamore canyons, ridgetop views, and access to miles of trails in Topanga State Park. The parking area here is also an Eevee nest, so get ready for a hike and bring water! Where to Stay: Situated on seven secluded acres below the Getty Center, the Luxe Sunset Boulevard Hotel offers 160 spacious guest rooms, an outdoor pool, the Luxe Spa and the Sunset Ballroom. 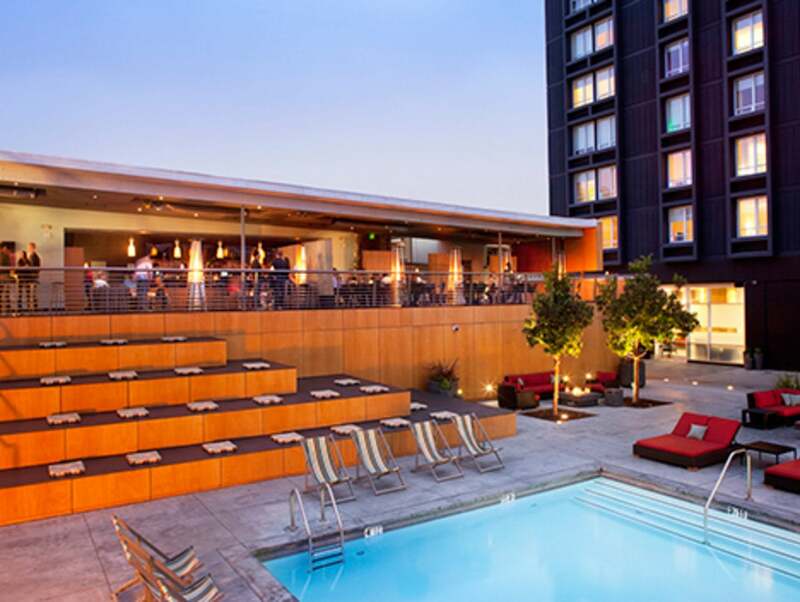 Situated where Sunset Boulevard meets the I-405, the 17-story Hotel Angeleno recently completed a multimillion dollar renovation and features West Restaurant & Lounge, perched at the penthouse level. Where to Eat: Located in nearby Brentwood, Tavern is the acclaimed restaurant by James Beard award winning chef Suzanne Goin and James Beard Award nominated restaurateur/sommelier Caroline Styne. The original Father's Office on Montana Avenue is a pioneering gastropub serving craft beers and a signature burger that's considered a modern classic. Drive up Pacific Coast Highway to indulge in top notch sushi and a spectacular sunset at Nobu Malibu, or visit the nostalgic Neptune’s Net, a longtime spot where fresh catches, burgers and beer are served at picnic tables overlooking the ocean. 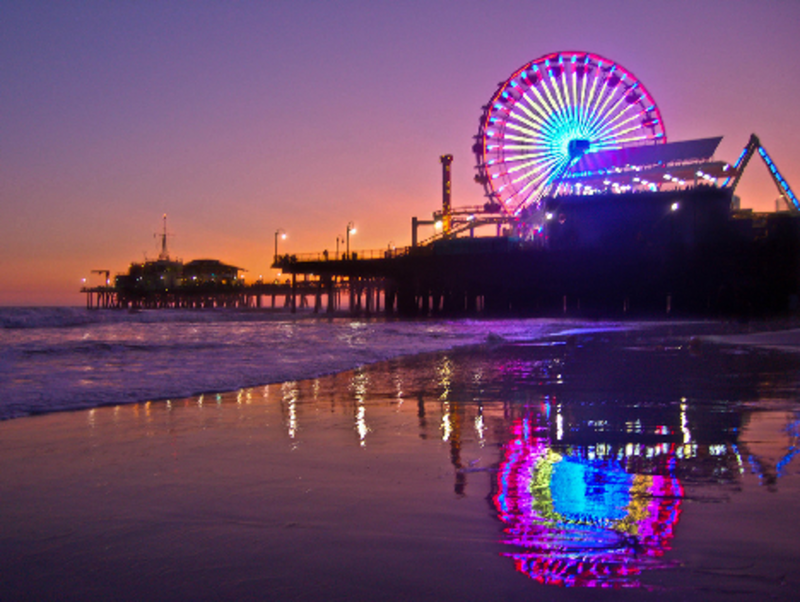 As if you’d need Pokémon stops to drag you to world-famous Venice Beach! The signature laid back attitude will keep you here long after your Pokémon are found. Not only are there multiple Pokémon stops mingling with the street performers on the boardwalk, be sure to visit the refined Abbot Kinney area as well - an eating and shopping street like no other. Where to Stay: Check out Hotel Erwin for a bohemian boutique hotel experience and join the fun at High Rooftop Lounge for happy hour and spectacular coastal views. Where to Eat: A highlight for lunch is the ever-popular Gjelina, if you can find a seat. Take advantage of the take out sandwich counter they operate next door if you’re on the move. 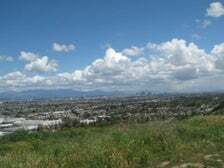 Baldwin Hills Scenic Overlook is a green space with panoramic views on the Westside of L.A., where you’ll find the elusive Staryu Pokémon (keep looking). 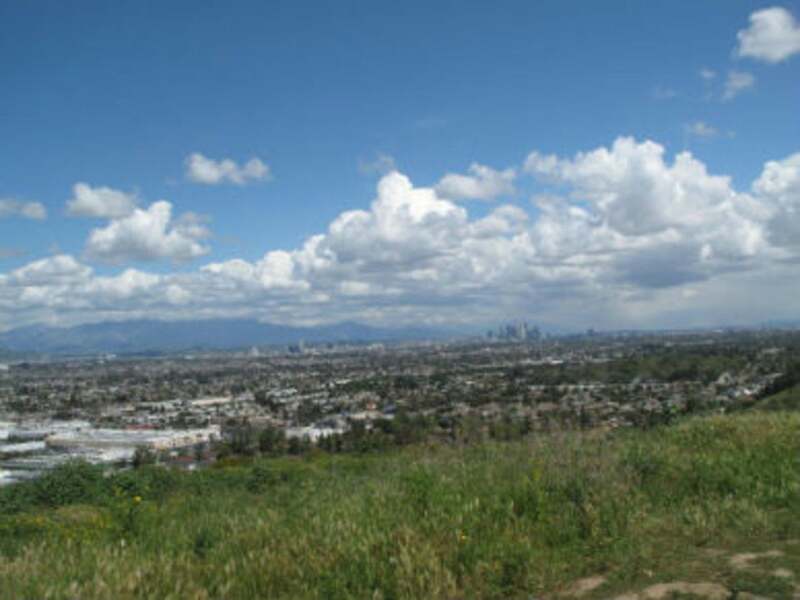 Also known by locals as the Culver City Stairs, this beautiful oasis will get your heart rate up and ready for a nap. Where to Stay: Nearby is the 1920s flatiron building that houses the historic Culver Hotel, where most of the cast of the original Wizard of Oz stayed during filming. Where to Eat: Walking distance from the hotel, you’ll find tasty Vietnamese street food at East Borough; Korean BBQ at Hanjip; and Lukshon for an upscale dining option. 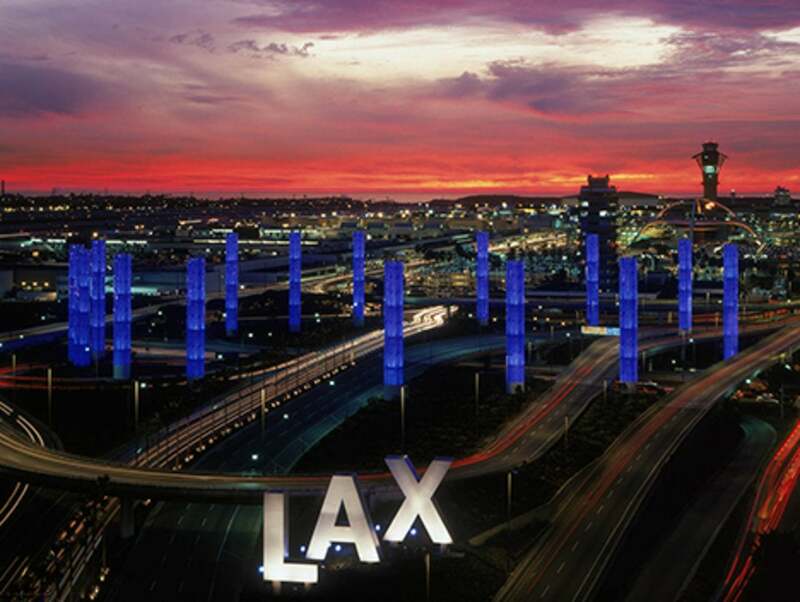 Not only is Los Angeles International Airport (LAX) the main airport serving the Greater Los Angeles area, it's also a destination for Pokémon. Where to Stay: If you are just passing through as well, stay close with the Hilton Los Angeles Airport, where you can charge your electric car while you take a quick dip in the pool. Where to Eat: If you’re game for venturing out, the eclectic Chalet Edelweiss serves authentic Swiss and German food and offers a selection of German beer. So, if fondue, raclette, wood-fired pizza sounds good after a day of Pokémon hunting, this is the place for you. 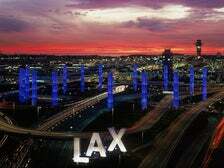 Alternatively, the very American In-N-Out Burger is conveniently located near LAX as a first stop for travelers just arriving in L.A. (like Anthony Bourdain) and craving a quintessentially Southern California cheeseburger and fries. Magikarp Pokémon aren’t the only interesting personalities you’ll find in the beach cities of Manhattan Beach and Redondo Beach. Where to Stay: At Custom Hotel near LAX, you can change the color of your room according to your mood (and how you evolve), via LED lighting. Other trainers can find free yoga and a happy hour at Shade, Manhattan Beach’s only luxury boutique hotel, located two blocks from the beach. Where to Eat: L.A. music fans can find some punk rock history and a comfort food menu at Abigaile by chef Tin Vuong, or small plates with Michelin-starred chef David Le Fevre at MB Post. 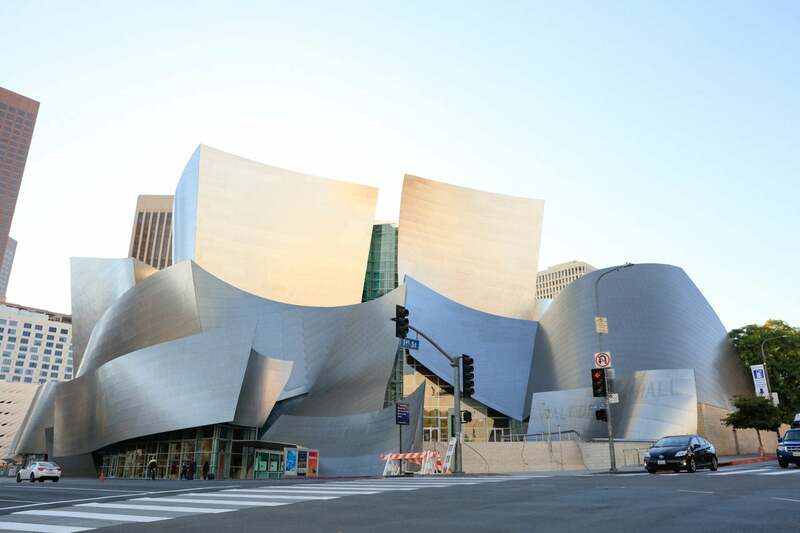 With its world-class attractions and spectacular scenery, Los Angeles is a Pokémon Go playground like no other. 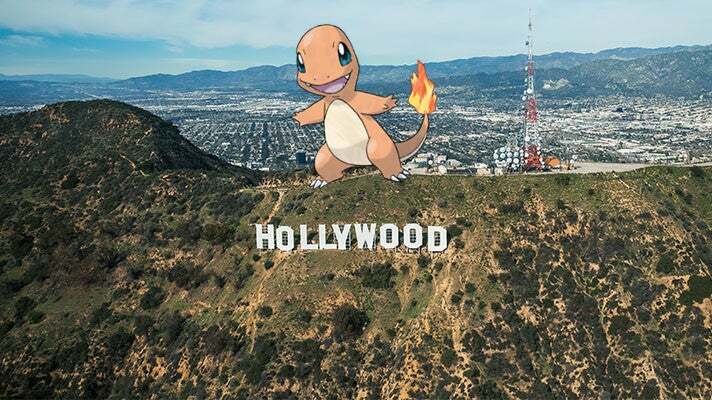 Read on for the best Pokémon Go specials in L.A.